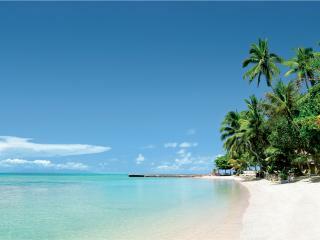 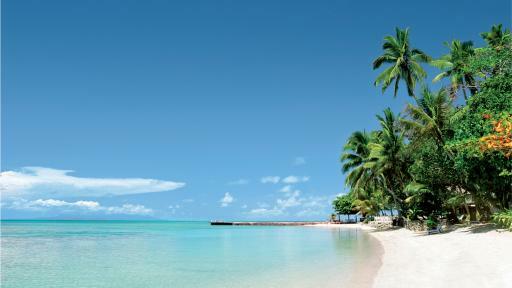 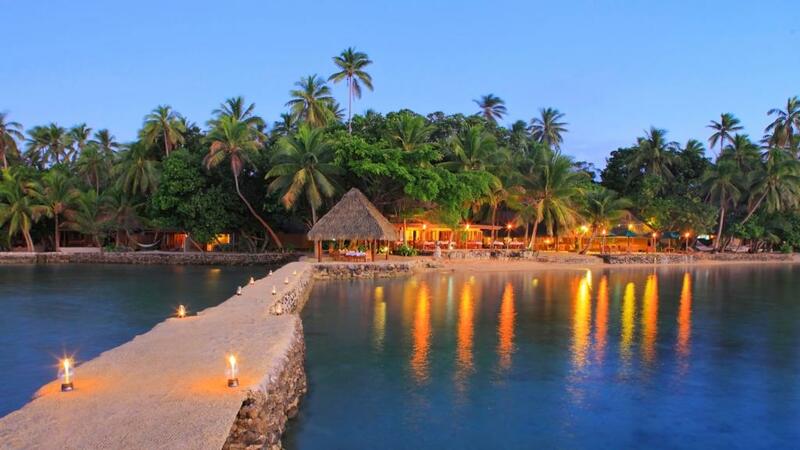 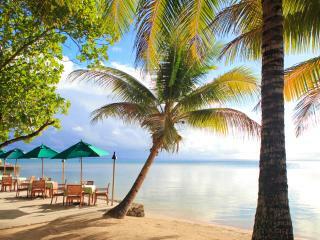 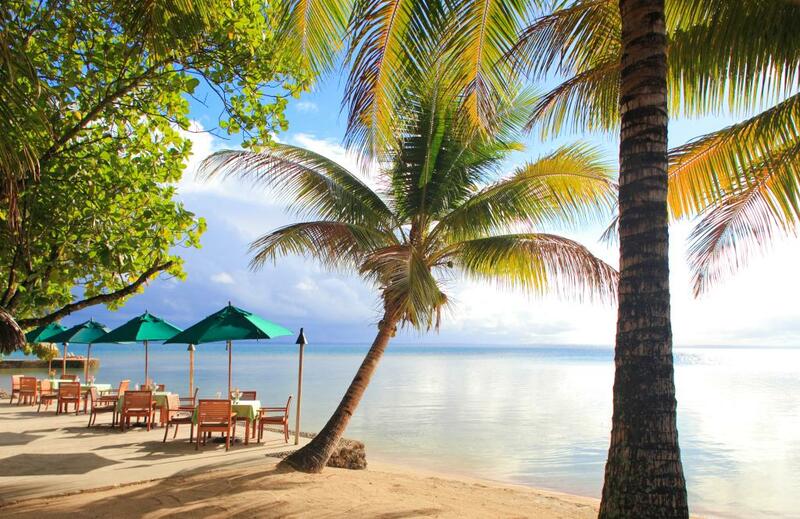 Toberua Island Resort is found in the Lomaiviti Island Group just off the east side of Fiji's main island, Viti Levu. 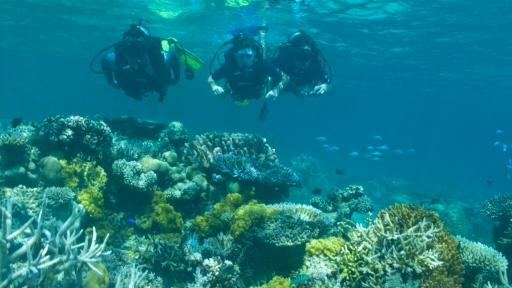 This privately owned island offers premier diving, fantastic facilities and 16 traditional accommodation bures. 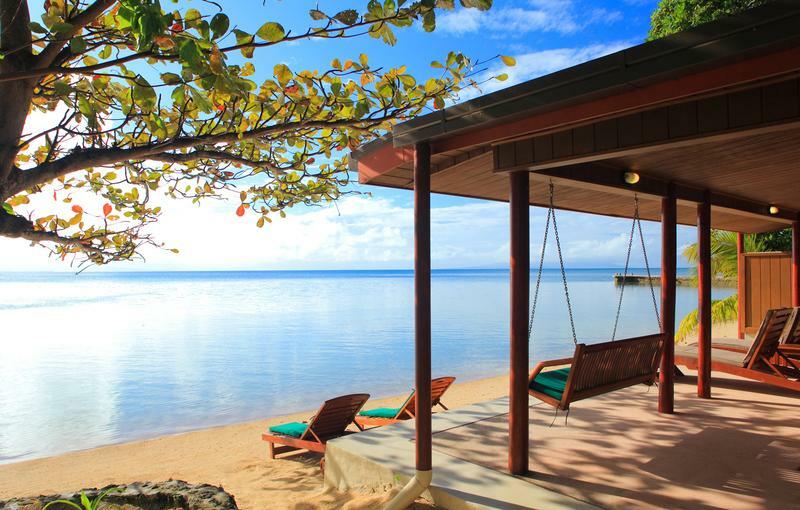 For a true Fijian island holiday experience perfect for couples or families alike, you must discover Toberua Island Resort. 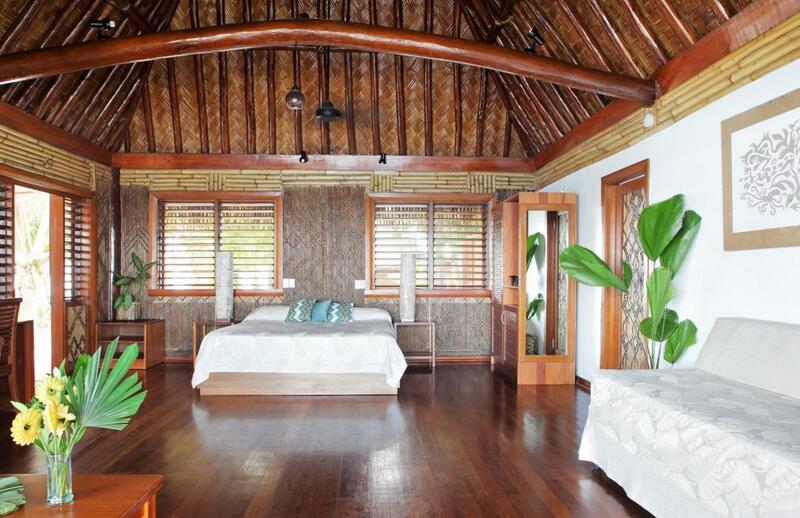 There are four bure styles to choose from including Deluxe, Tropical, Premium and Family. 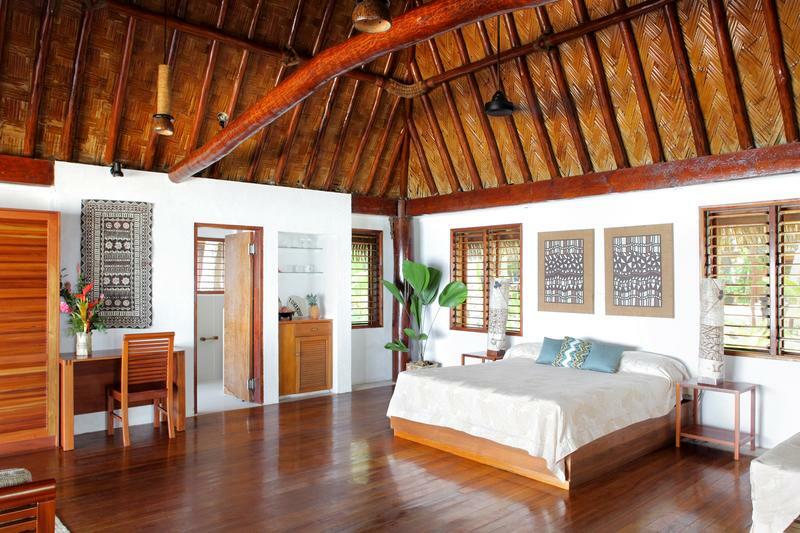 These traditional Fijian bures are your own personal island home and feature stunning high ceilings, high above lie a striking combination of coconut fibres and bold beams. 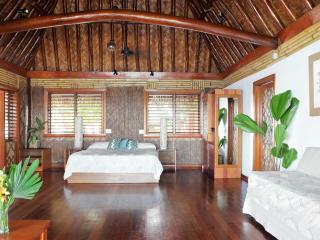 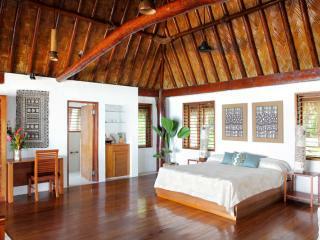 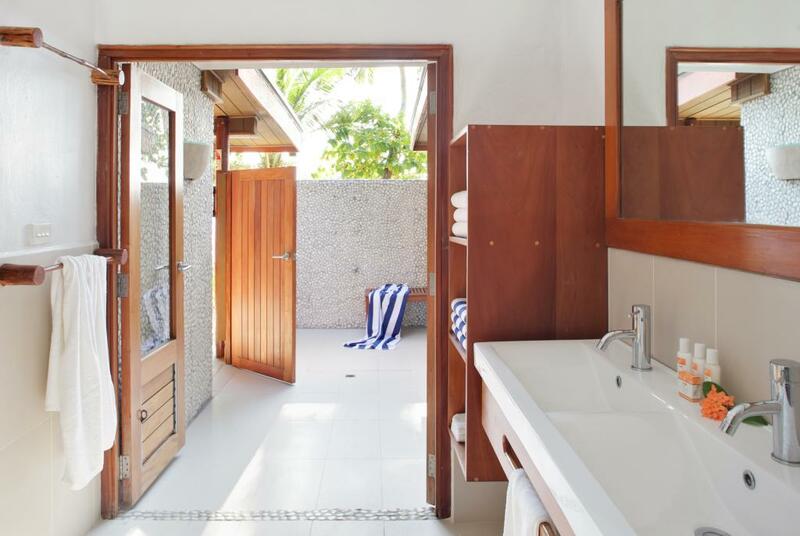 All accommodation at Toberua Island Resort features an ensuite, private courtyard and 24 hour hot water. 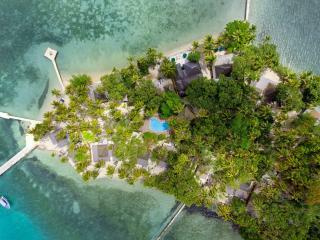 Toberua Island Resort is ideally located to make the most of the many water, beach and sea activities. 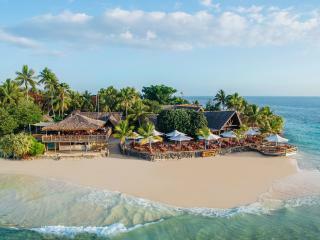 Guests will enjoy the complimentary hobie cats, windsurfing, snorkelling, kayaking, glass bottom boat tour and even Fiji v World volleyball matches. 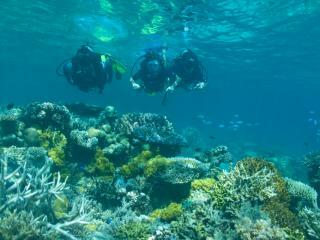 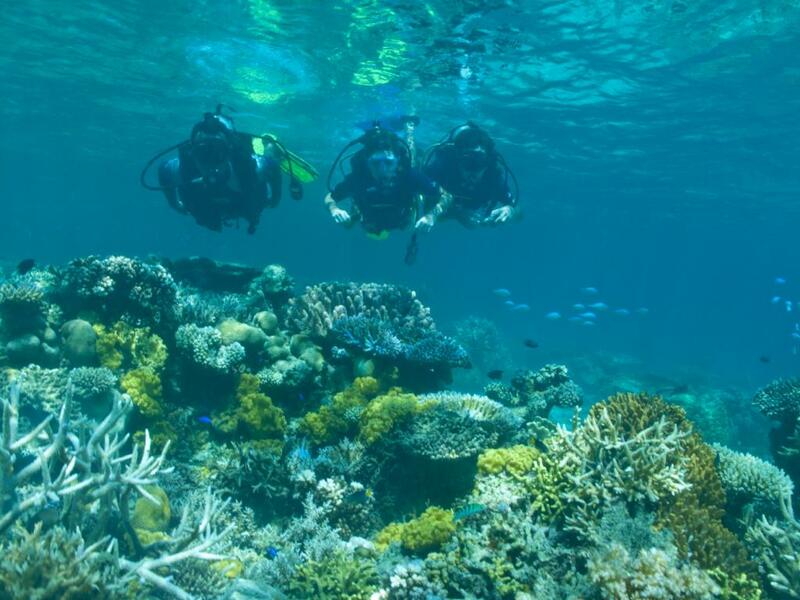 The resort is also surrounded by world class dive sites and with an onsite PADI instructor, Toberua Island Resort is also a favourite among scuba diving enthusiasts. 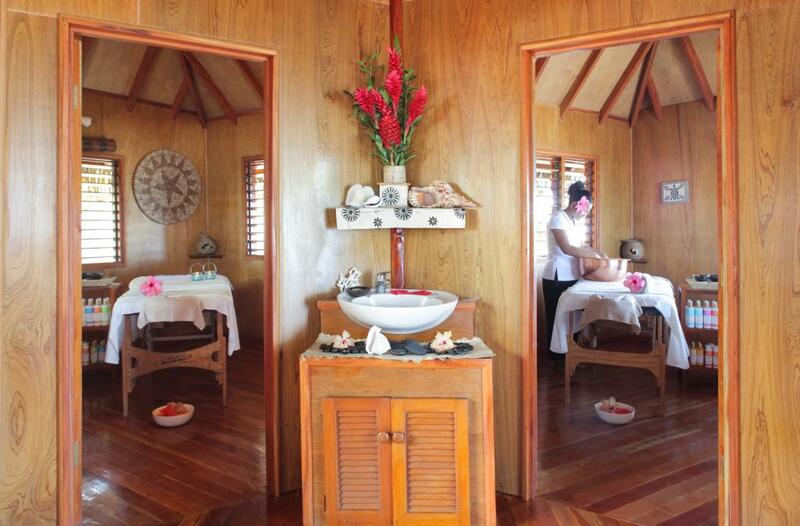 If you prefer the slower pace of an island holiday, you can choose to laze around on the beach or by the pool, or take a trip to the Day Spa offering various massage and body treatments. 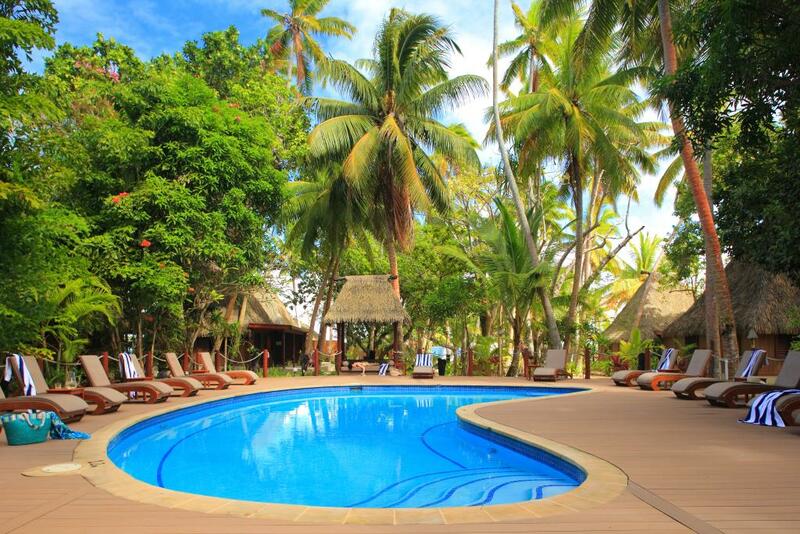 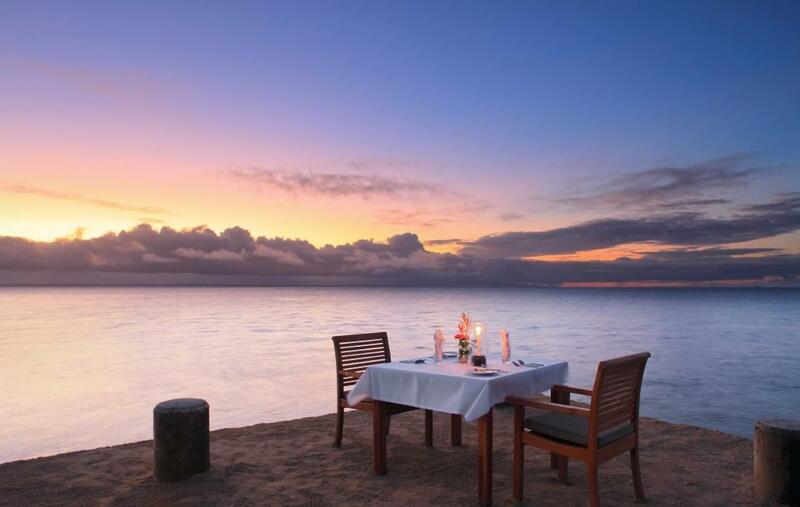 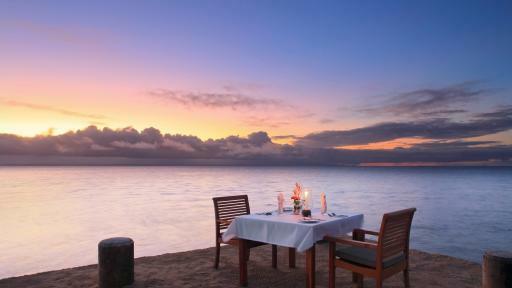 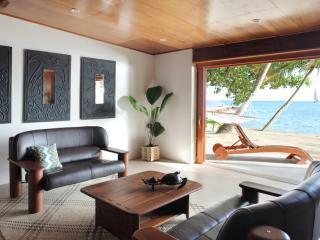 Whether you are after adventure or relaxation, Toberua Island Resort is the ideal Fiji island holiday accommodation. 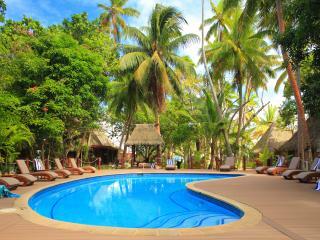 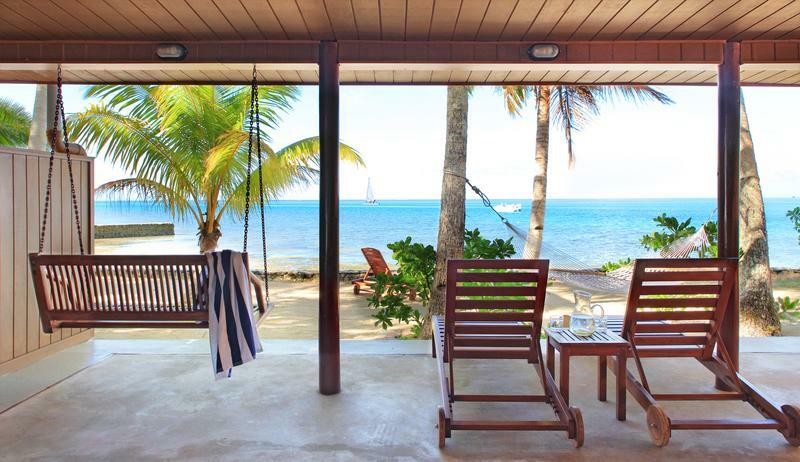 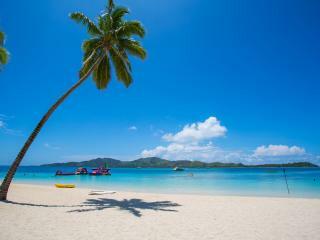 Toberua Island Resort has 16 bures all featuring ocean breezes, hammocks and private verandas. 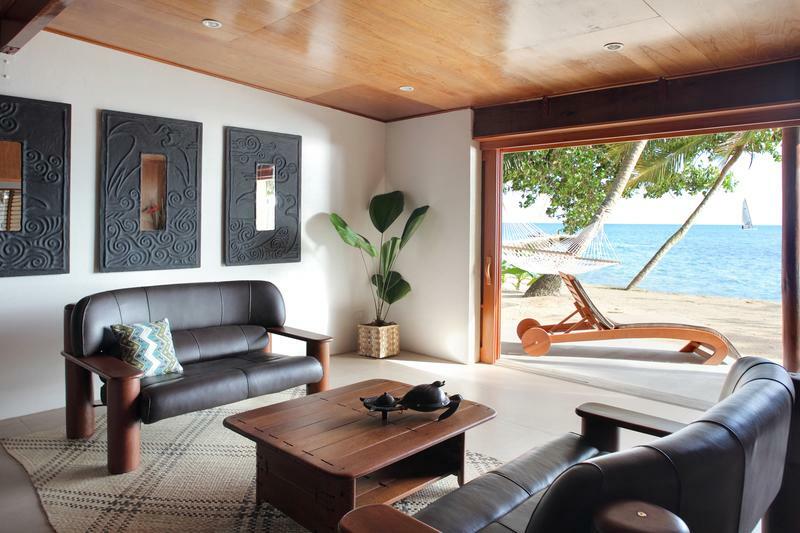 These traditionally styled bures are spacious and comfortable and ooze an ambience of pure relaxation. 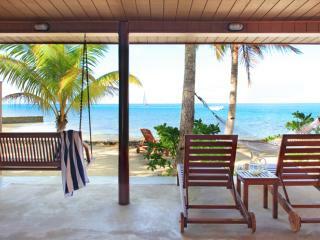 This was undoubtedly one of our best holidays. 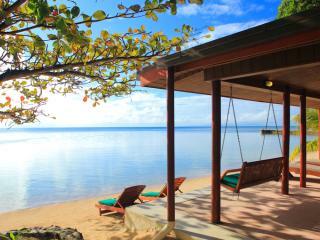 Toberua is paradise on earth with its gorgeous setting and the special feel of intimacy. 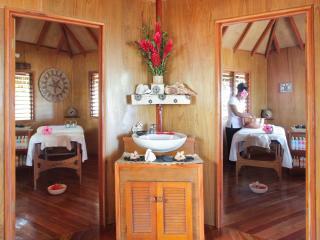 But what makes it really special is the staff who are incredibly welcoming and friendly. 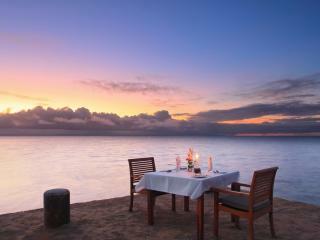 The warmth of the people , the beauty of the place and the fabulous dining will stay with us forever. 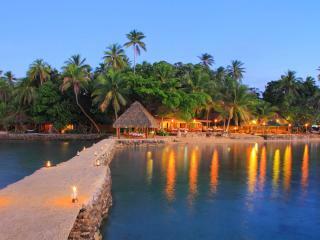 We will certainly go back one day! 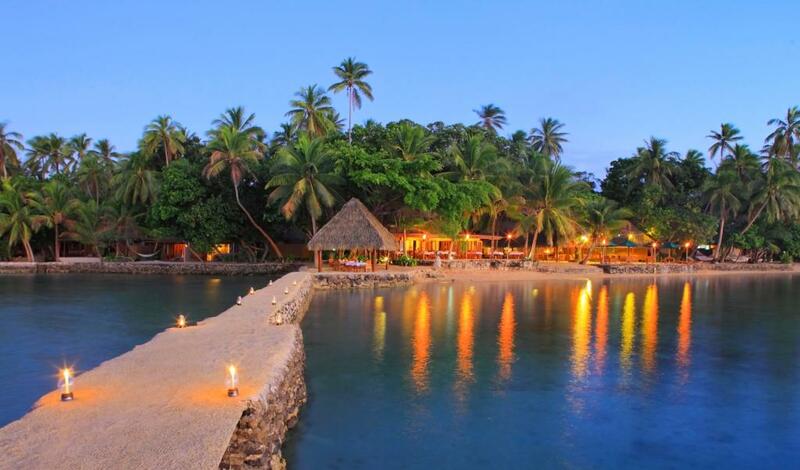 The worst thing about Toberua is that you only get one chance to experience it for the first time. This island is a unique and wonderful experience. 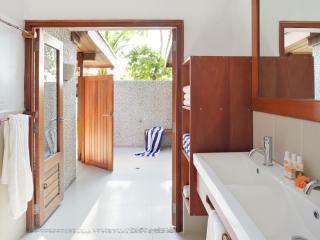 To explain it would detract from the list of pleasant surprises, you simply have to see it for yourself. 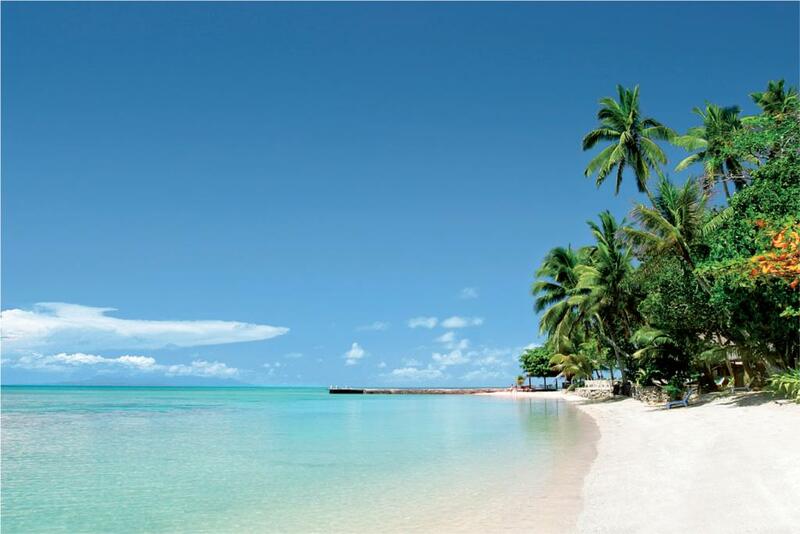 Little bit of heaven to get away from it all. 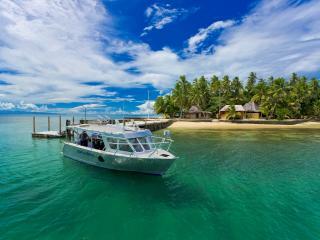 We will to return with longer stay, Bit hard to get to ,but now there will be a direct flight to Suva and it will be a lot better next visit.